The Panthers picked up quarterback Taylor Heinicke off waivers. 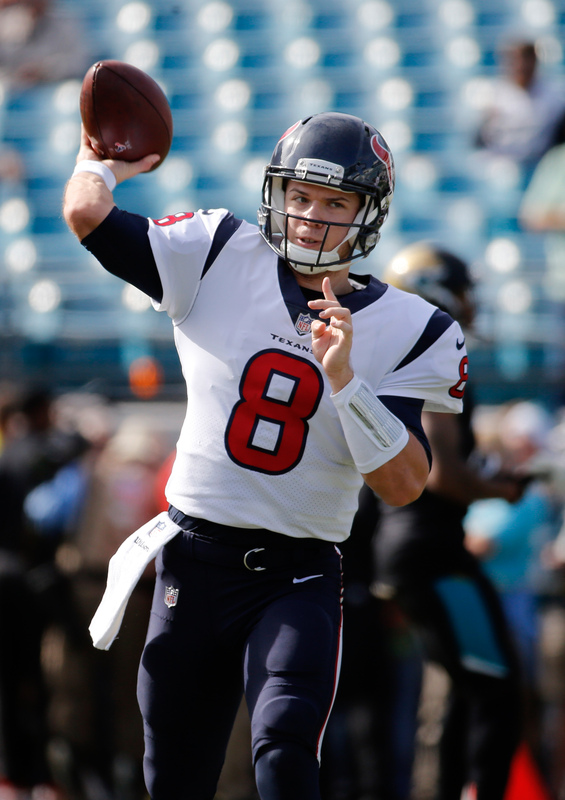 The QB was cut by the Texans on Friday. Heinicke, 25, threw his only NFL pass to date in a 34-6 loss to the Steelers last year. The Old Dominion product hasn’t made much noise over the last three years with the Vikings, Patriots, or Texans, but he’ll look to stick on the Panthers’ roster as a backup to Cam Newton. For now, Newton, Garrett Gilbert, and Heinicke are the only three QBs on Carolina’s roster. At the owner’s meetings, coach Ron Rivera indicated that veteran Derek Anderson could still be re-signed to serve as Newton’s primary backup. Heinicke worked under Norv and Scott Turner with the Vikings in 2015, when he impressed a lot of folks in training camp and the pre-season. I’m one of the folks who think he can be a long-time, quality QB2 and spot starter in the NFL, so I wish him the best of luck with the Panthers.